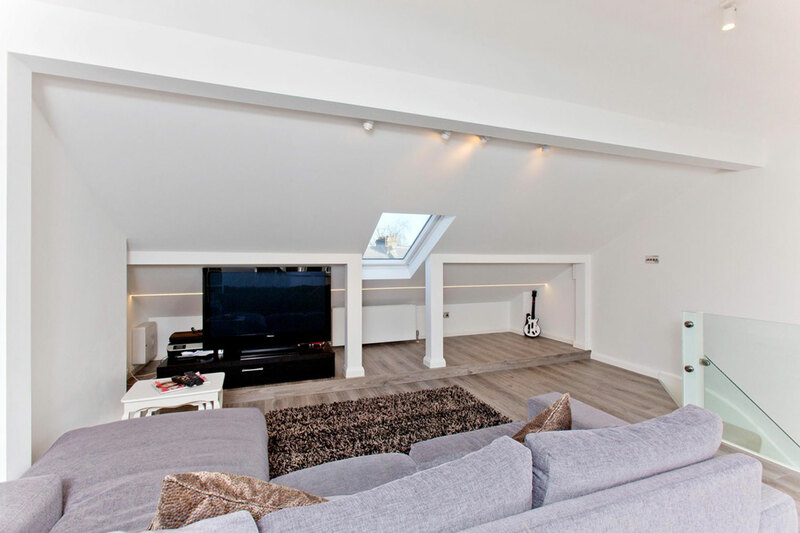 The clients’ main objectives were to increase the space and light in their flat, which is on the top two floors of an Islington town house. 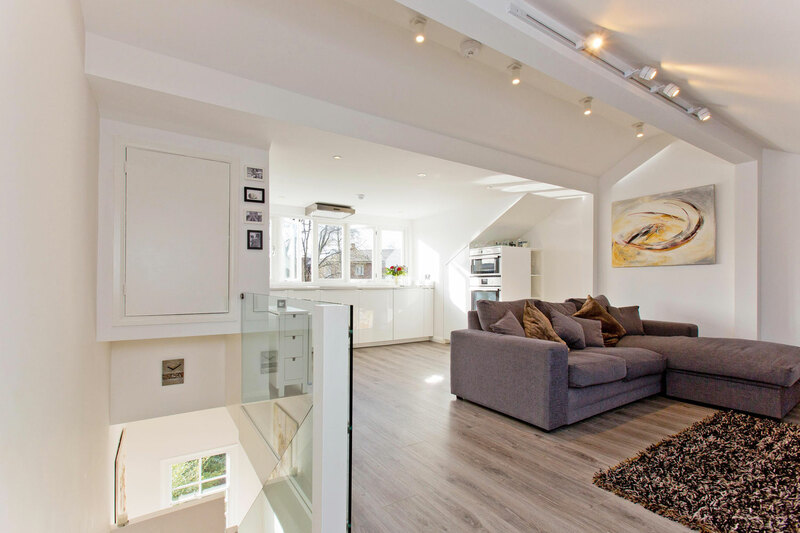 The plan was to reconfigure the layout, moving the kitchen upstairs and opening up the top ‘loft’ floor to create an open-plan kitchen and living area. 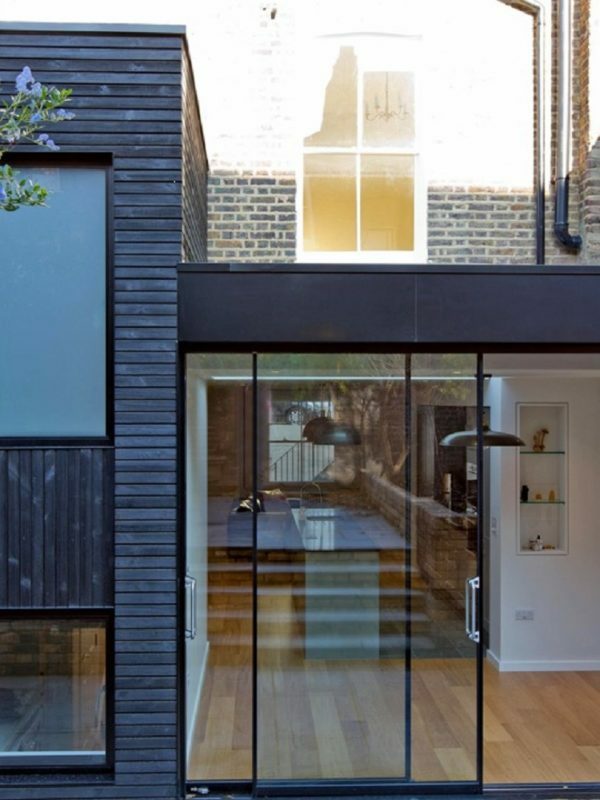 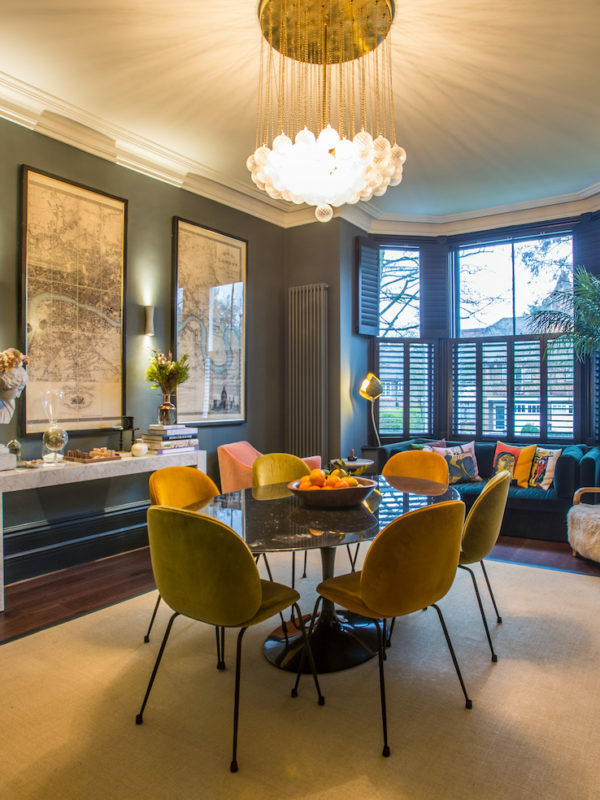 The lower floor would then have space for two bedrooms and a bathroom and, with some clever design elements, the whole property would gain significantly more natural light. 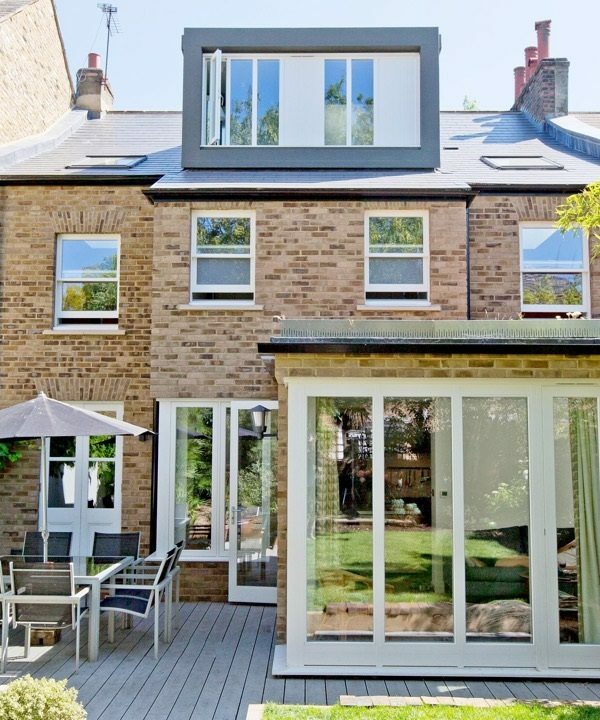 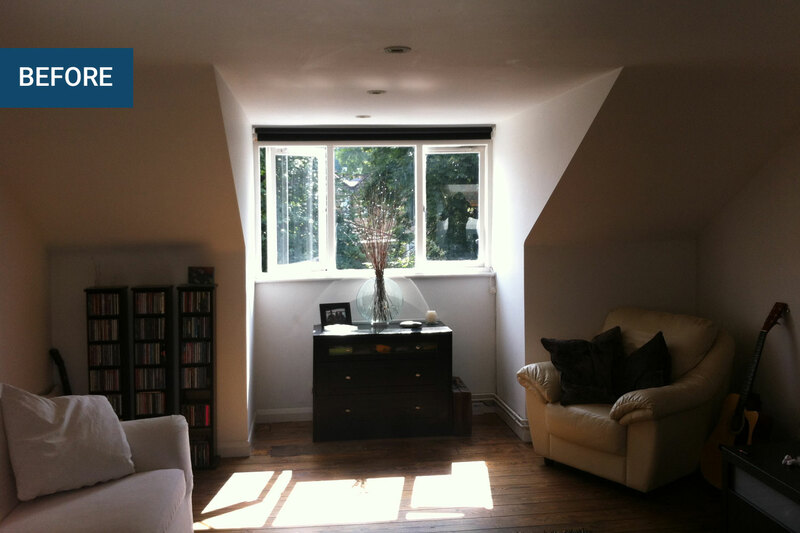 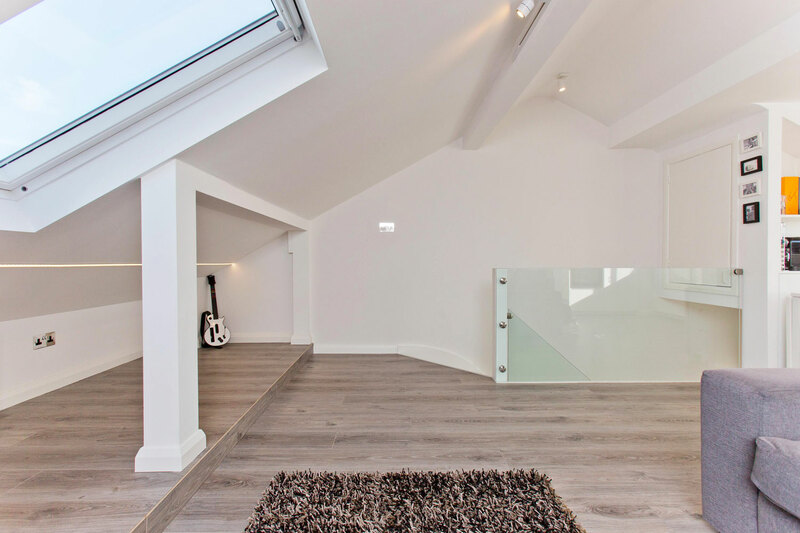 Upstairs the dark, cramped space was transformed: the wall between the staircase and existing living room was removed; the ceiling was raised to the full height and pitch of the roof; a large Dormer window was installed at one end and a Velux window at the other. 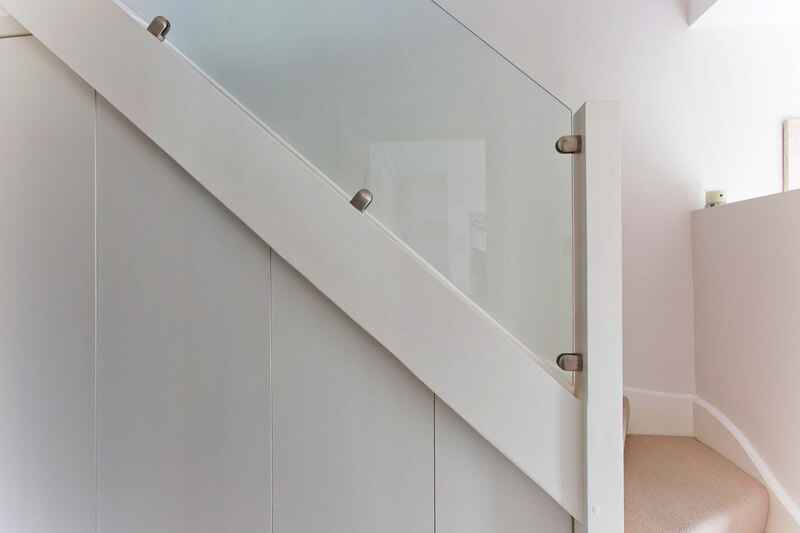 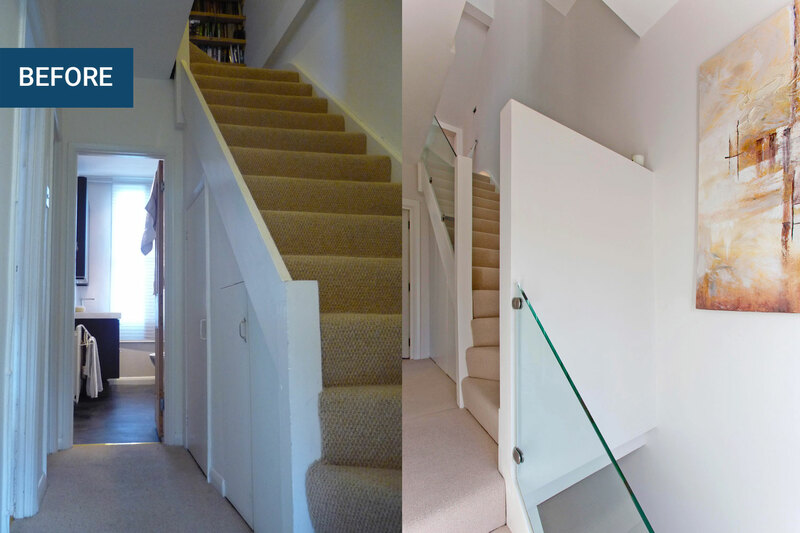 New glass balustrades were added on the top floor and to the stairs going down through the flat. 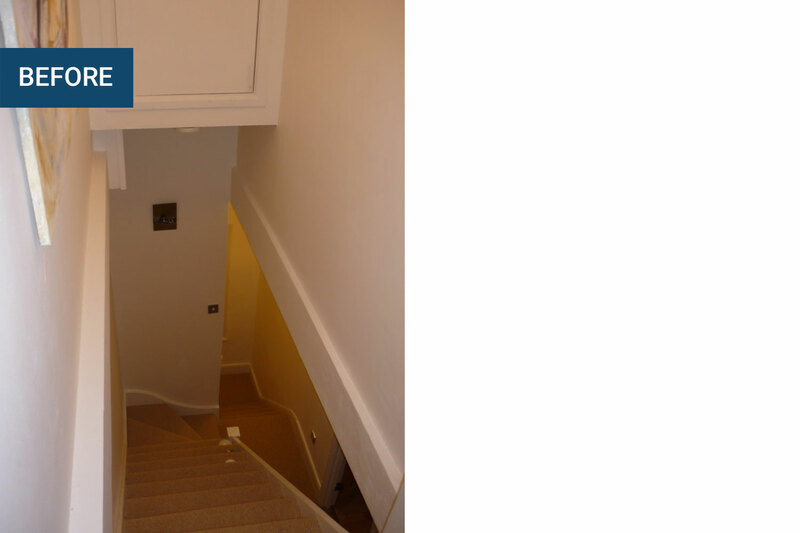 Downstairs, the top part of the wall at the bottom of the landing stairs was removed to allow more light to flood in from the window. 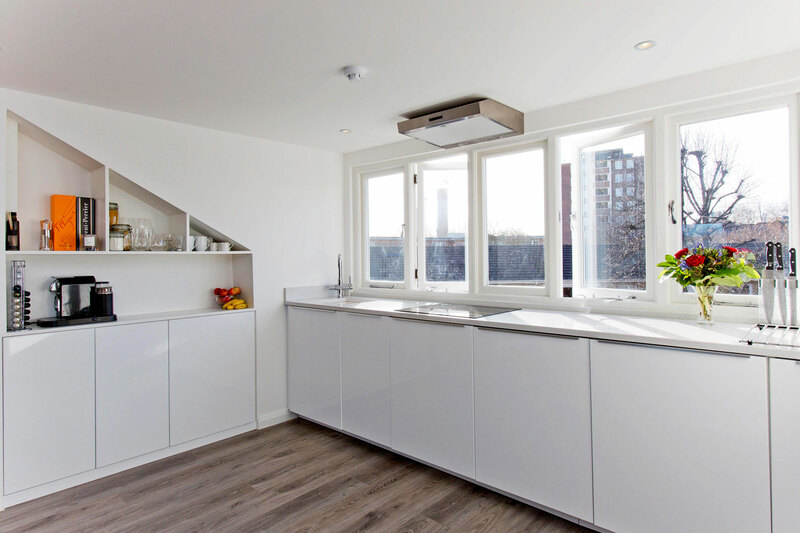 A new kitchen was fitted to the Dormer end of the loft floor, with units and shelving designed to make best use of space for utilities and storage. 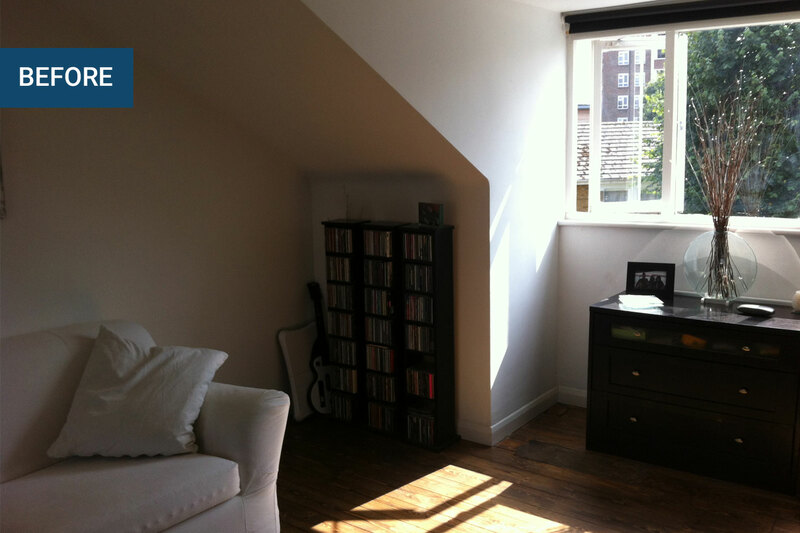 On the opposite side of the room, the area beneath the window was opened up to add further floor and storage space. 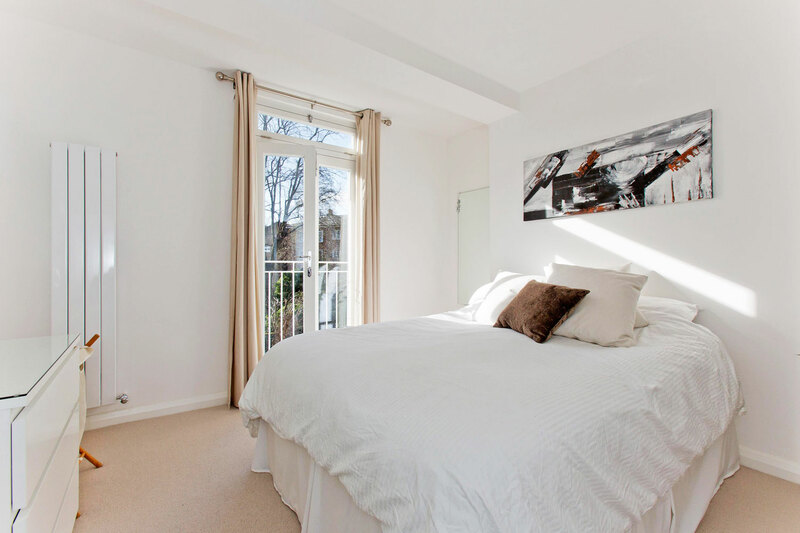 Downstairs, the old kitchen was turned into a bedroom, with the old window replaced with new bespoke French doors and a Juliet balcony. 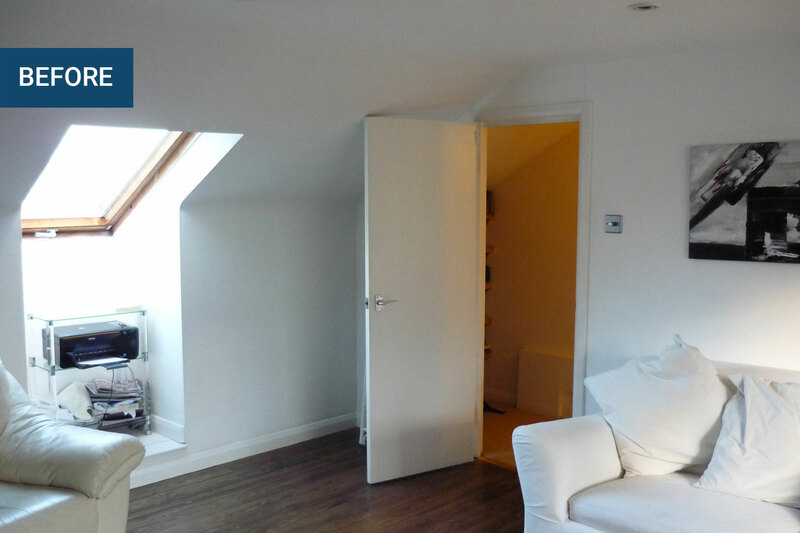 A new heating system was installed, the property was rewired and all areas were re-floored and decorated. 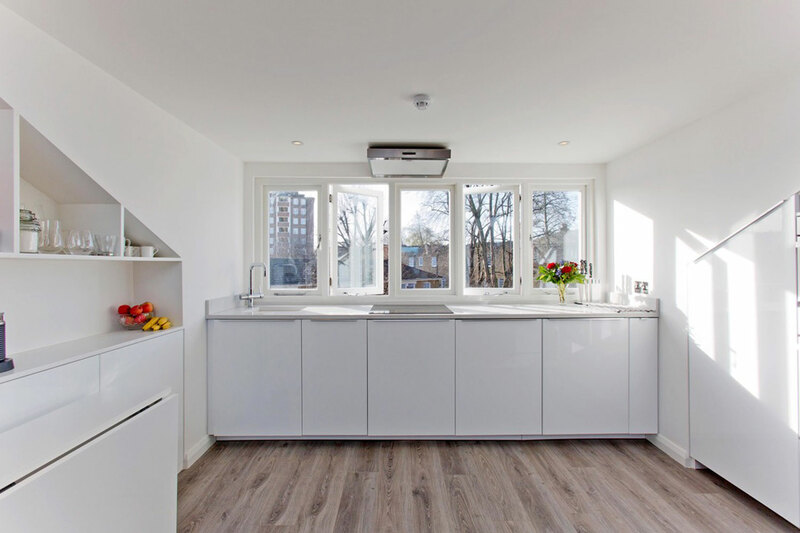 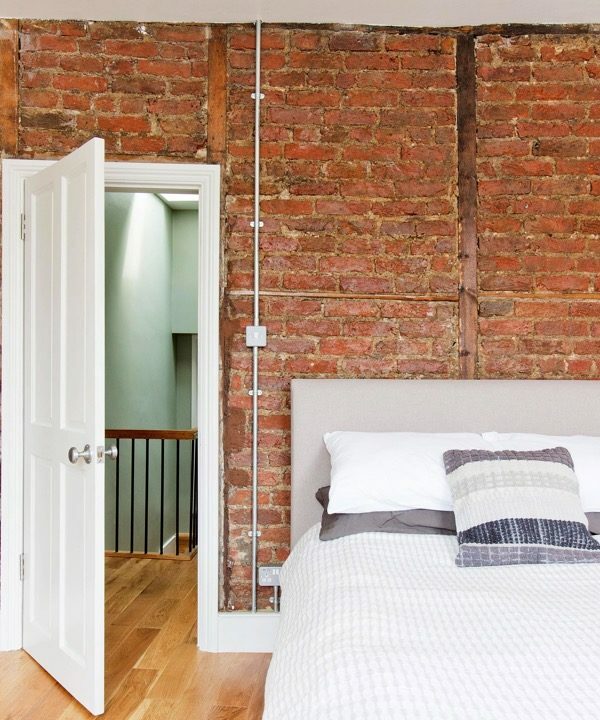 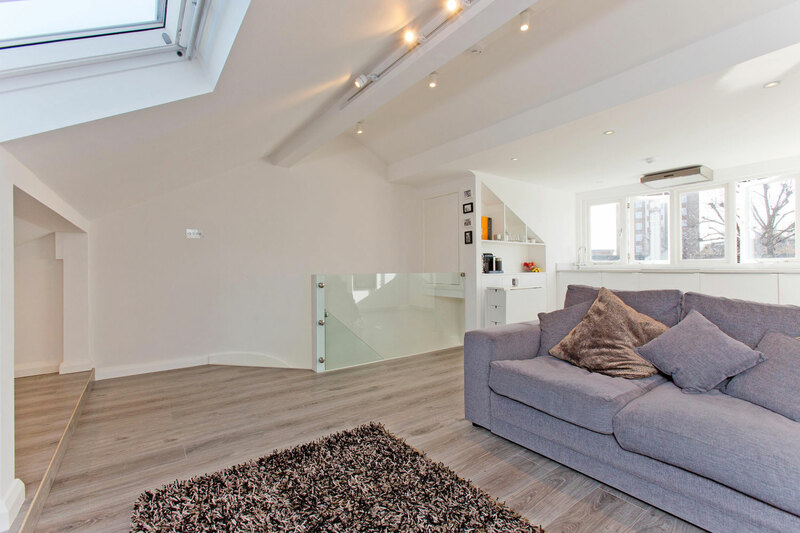 The flat was completely transformed into a larger, brighter space for a young family to enjoy.